Quick-drying, water-resistant blend with a comfortable bit of stretch. 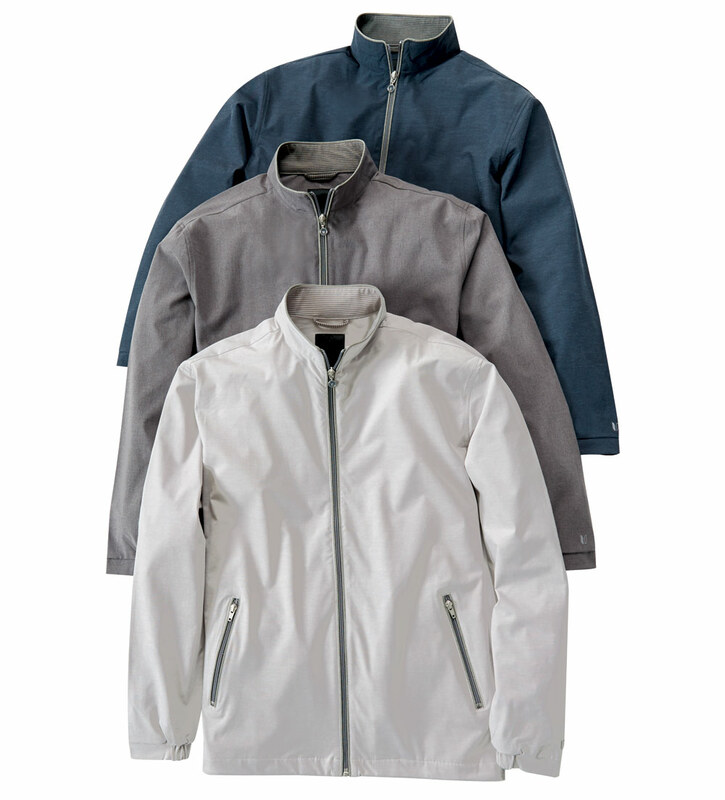 Full front zipper, stand-up collar, zip pockets, elastic cuffs, no lining, drawstring hem. 67% polyester/25% cotton/8% spandex. Machine wash. Imported.